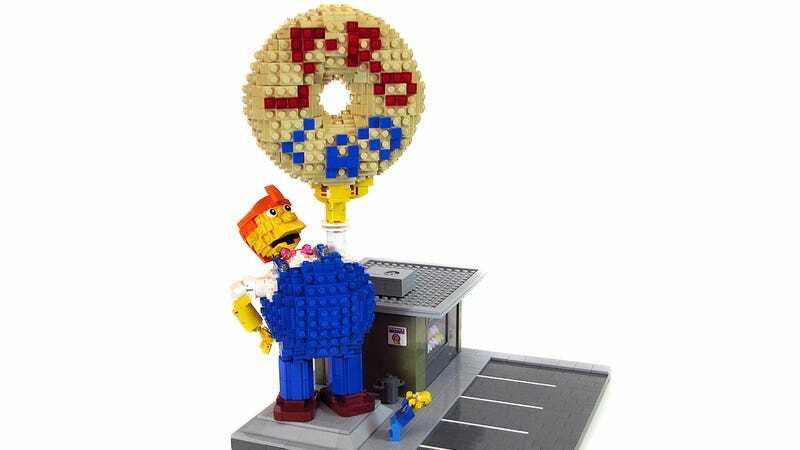 The Kwik-E-Mart and the Simpsons’ house are two of the most detailed sets Lego has ever produced. But which Springfield locale should the company consider next? Moe’s Tavern? The nuclear plant? Neither. It should definitely be Lard Lad Donuts, as recreated by Matt De Lanoy here.